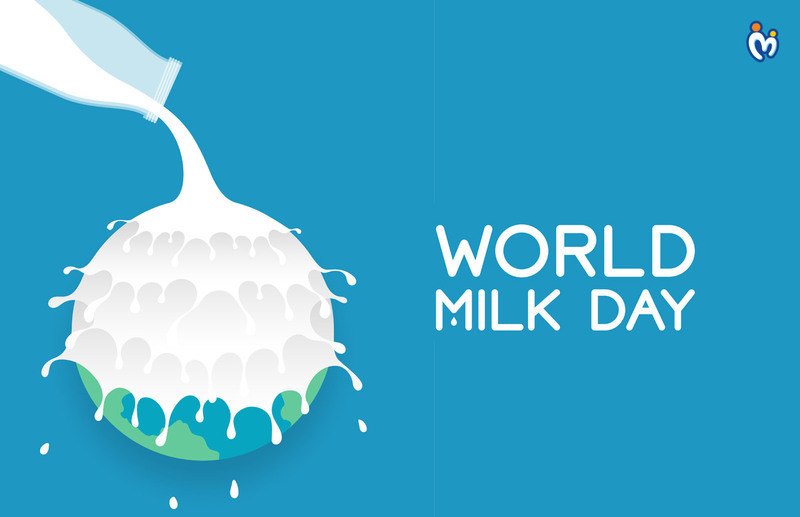 Celebrated on the 1st of June every year, the main focus of the World Milk Day, observed by the Food and Agriculture Organisation (FAO) of the United Nations, is to spread the importance of milk as a global food product all across the world. The day has been celebrated from the year 2001 onwards and helps bring to everyone’s attention the various activities that are connected to the dairy sector! The main motive of choosing June 1st as the day that World Milk Day would be celebrated on was that a couple of countries around the world were already on their way to celebrating milk day on the same date. AS mentioned earlier, the Day helps in enabling the spread of knowledge about the dairy industry and promulgates the activities connected with it. Can you believe if we told you that more than 40 countries around the world celebrated the day in the year 2016? Many activities like school-based activities, conferences, farm visits, concerts etc are carried out on this day to spread awareness about milk being an important source of nutrient for babies and adults alike! The day also throws light on the role that the dairy industry plays in the national economy and how it contributes to the same. Like every other year, this year too followed by next year, June 1st will be celebrated as the World Milk Day where the Global Dairy Platform will be involved in a campaign called “Raise A Glass” to help with the main objectives of celebrating this day. Milk has become a crucial part of everyone’s day to day life, and is definitely something that we cannot imagine our life without. Milk, especially for growing babies, plays the role of a brilliant nutrient provider, that, when included in his/her diet, adds a different dimension to the diet itself, and thus ensures your little one grows up with brilliant bone strength and strong limbs! The need for celebrating such an important day across the world has come to the forefront since the number of children with health issues has increased many-fold in this day and age. Putting focus on a food product that helps children grow up as a healthier version of themselves, is the need of the hour, and that is precisely what this day is celebrated for!